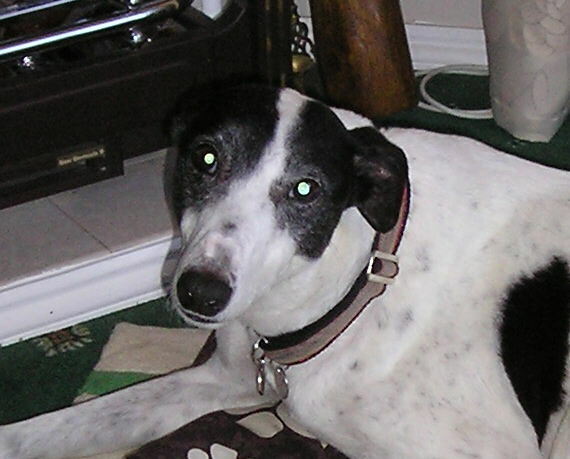 Bella had a terrible life as she has been used as no more than a breeding machine and leased out many times until Dave and Margaret fell for her on our website. This is what they have to say about her: Angel, or as we have now called her Bella, met the whole family yesterday, including children and our son's springer spaniel and she has been wonderful. She slept in her basket by the side of our bed last night, and she had a really good night's sleep and was reluctant to get up this morning - it seems she likes her basket!! She has only had one accident in the house (which is amazing seeing she has never been in a house). She was a little wary of steps initially, but with reassurance was absolutely fine.